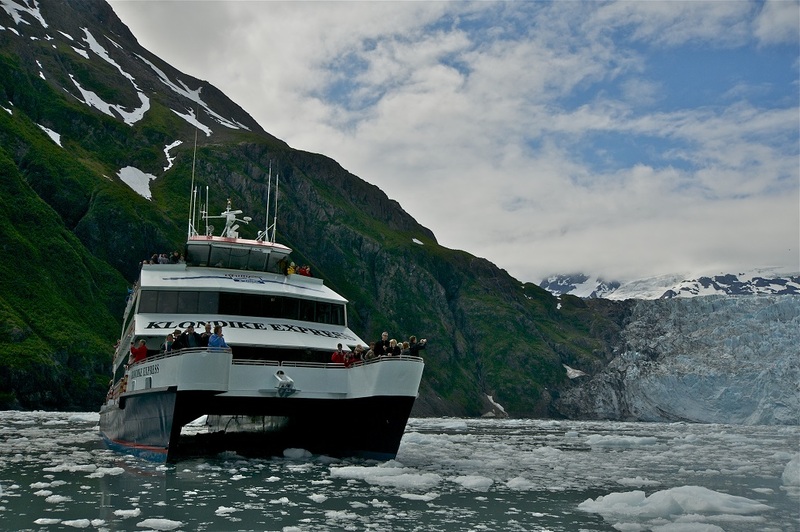 Phillips Cruises and Tours operates the most popular glacier day cruises in Southcentral Alaska. Our tours depart from Whittier Alaska, approximately 1.5 hours south of Anchorage. Every journey into Prince William Sound is unforgettable! Gaze at the blue hues of spectacular glacier ice and massive glaciers carving their way down mountains. Watch for sea otters, harbor seals, whales, Dall’s porpoise, kittiwakes, bald eagles, bears or mountain goats. Our fleet of high-speed catamarans provides a level of comfort and service unmatched in Prince William Sound. Choose from our popular 5-hour 26 Glacier Cruise or our family friendly 3.75-hour Glacier Quest Cruise. Our cruises include our exclusive "No Seasickness Guarantee", a complimentary hot meal and narration provided by the U.S. Forest Service Ranger. Rail and coach options are available. May to September.